"With so many spiritual books being published every day it is rare to read one as unique as this." This is a lighthearted yet tough-love course in advanced spiritual philosophy. This is not just another metaphysical fad or more New Age hype. In fact, this pragmatic book is an entertaining antidote to the spiritual-practice-of-the-month syndrome. It offers direction and inspiration to serious seekers who are ready to exchange their supernatural fantasies of myths, magic, and miracles for an actual spiritual reality. Which of the first five stages of philosophical growth you may be stuck in. How faith is the opposite of enlightenment and why it could be holding you back. How most all of your philosophical beliefs may be obstructing your spiritual growth. How the majority of spiritual seekers are practicing the Tao of belief upgrading. 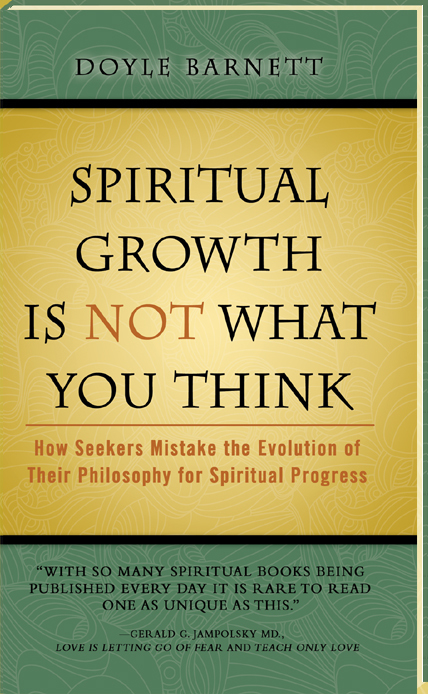 Why your philosophical growth is completely separate from your spiritual growth. What is the most accurate criteria you can use to evaluate your spiritual status. Why learning to love holistically may be the only spiritual lesson that you need to focus on. Why relationships, and not your philosophies, are your ultimate spiritual path. How you can genuinely revere the spiritual status of people of all philosophies and religions, including: humanists, agnostics, and atheists.